It’s no secret that February is Black History Month. 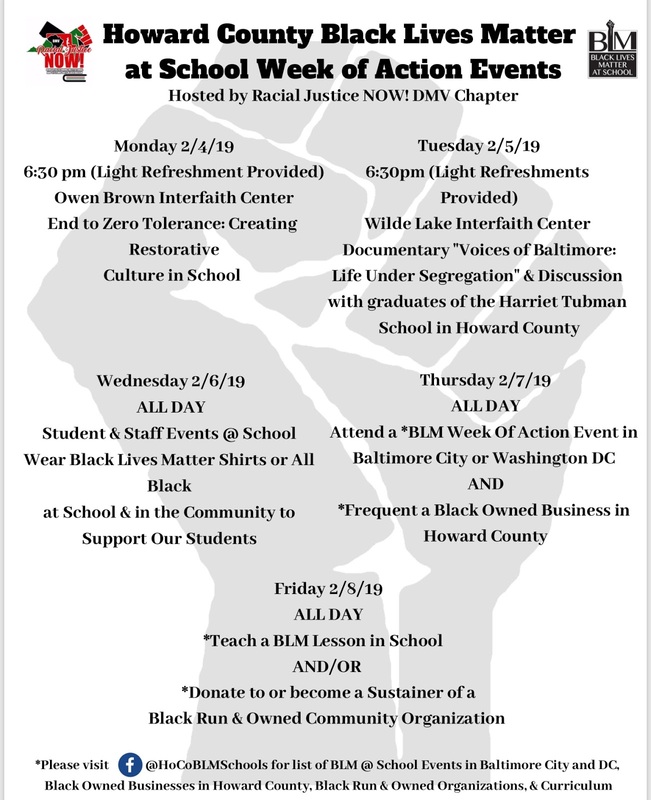 This year the Howard County Schools have the opportunity to implement a new way to celebrate, in conjunction with Howard County Black Lives Matter in Our Schools . Since this is a new initiative, I thought I’d share more information with my readers. Black Lives Matter at School - - information from the national organization. An aside about the phrase “Black Lives Matter”. Some people feel compelled to read it as “Other people’s lives don’t matter.” I’d like to point out that February is National Heart Month but I don’t see anyone protesting on behalf of other organs being slighted or left out. As a parent and a teacher, I feel it is my responsibility to look at what we are teaching our children and think about how it could be better. Is there anything important that’s missing? Are there good things that should be increased? Are there less than useful things we should reduce or eliminate? It is in that same way that we need to look at the long years of inequity in our schools and strive to make improvements, not only for the purpose of boosting Black students, but also to help make all our students aware of a complete and accurate history of our nation and how we all fit into it. If we as a culture became aware of a crucial nutrient that would make our children healthier, do better in school, and improve their longevity, we would look for ways to make sure it was in the food they were eating. We would want to make sure that foods which contained that nutrient were served as a part of the school lunch program. Would this mean that other foods didn’t matter? Our schools have long been deficient in telling the stories of non-white cultures, and our systems have been deficient in treating non-white students with the same respect as whites. Black Lives Matter at School Week is a taste of what we need to do to enrich our classrooms with the knowledge and learning activities that have been missing from our schools. Everyone needs it. It’s a simple and eloquent mission that I believe in.